Lumine Beach and Golf Community is a highly rated destination for golfers, who travel to Costa Daurada and experience some terrific courses. Known as the stage for the European Tour Qualifying School Finals, Lumine has unveiled several new packages for Spring/Summer 2018. The resort offers championship golf, world-class service and a host of luxury facilities, completing what is one of the finest destinations on the coastline of the Mediterranean. 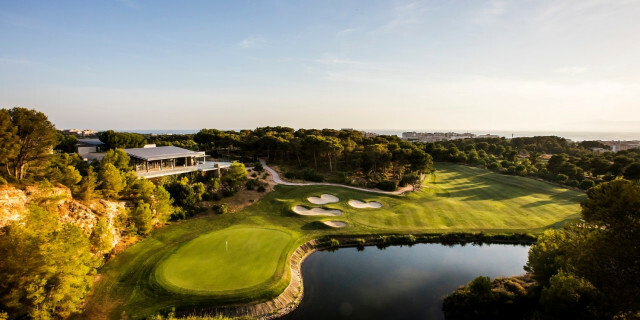 In partnership with select four and five-star hotels located in the beautiful towns of Vila-Seca, La Pineda, Salou and Cambrils, Lumine’s new packages start from €435 and combine golf over its renowned Lakes, Hills and Ruins courses with a number of accommodation options. Lumine Beach and Golf Community, Costa Daurada’s highly regarded golf destination, unveils a number of new package options. In partnership with four and five-star hotels in Vila-Seca, La Pineda, Salou and Cambrils, Lumine’s new packages start from €435. Golfers will also have the opportunity to enjoy the wealth of additional attractions, culture and gastronomy the region is famed for. Golfshake Features: Lumine Community Review. Community Hills Course Review. Ruins Course Review. For more information, visit http://www.lumine.com/en/lumine-travel/.